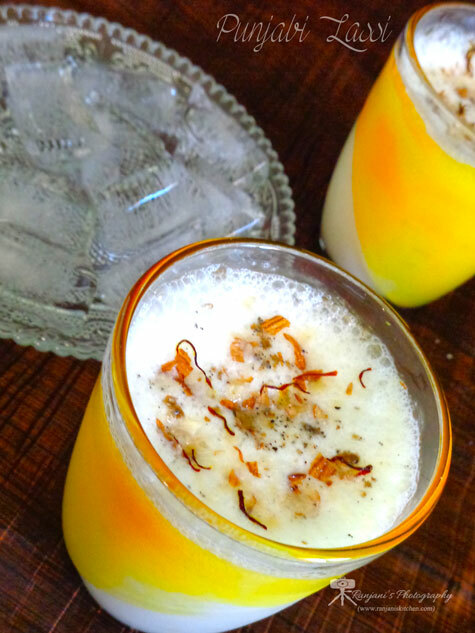 Sweet Punjabi Lassi – a traditional and flavorful drink made with a combo of curd, water and cardamom.Topped with saffron strands and chopped nuts. It’s a summer coolant and a best refreshner for hot weather. 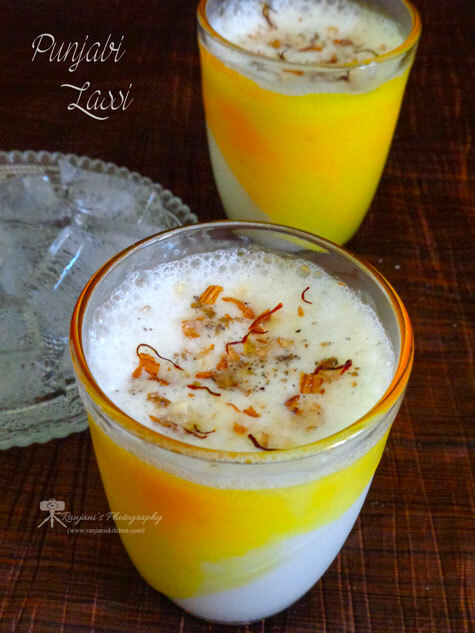 Lassi can be made in different ways. This is sweet version which is famous in Punjab. If you use cardamom pods, make it as a powder for use. 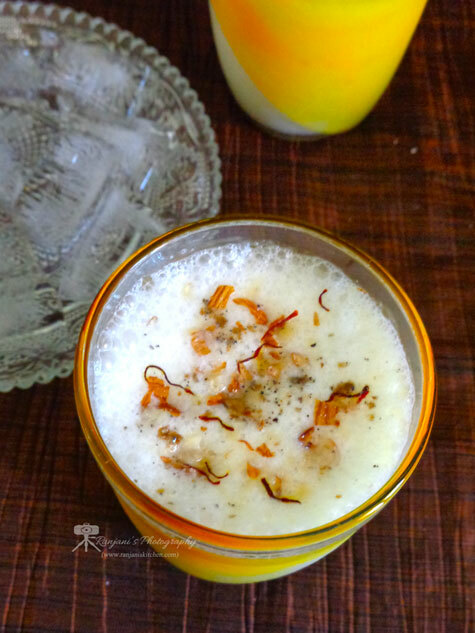 In a mixie, add chilled curd, chilled water, salt half portion of chopped nuts and cardamom powder. Blend for 40 secs. 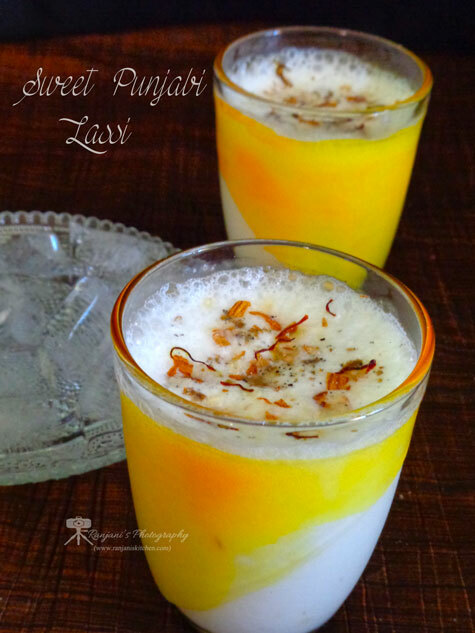 Then add sugar and blend for 1 more minute.Frothy & creamy lassi is ready to serve.Pour lassi in glasses and top with remaining nuts, saffron strands and sprinkle some cardamom powder. Use chilled water and curd. So no need of refrigeration. Adding salt is optional. But its addition will give nice taste. Such a refreshing drink for the burst of flavors and taste.